You can manage usage of your SBI ATM / Debit Card at State Bank Anywhere Application. 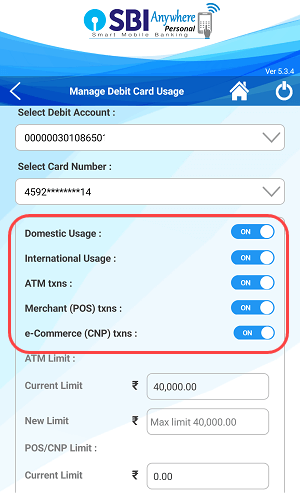 On State Bank Anywhere, you can enable/disable functions of your debit card for different usage type. Suppose you have to use your card to make an international payment, first you have turn on International usage & CNP (card not present) usage, same if you are using your card at any POS terminal then you must enable POS usage. In short you can control your debit card (how it works) at state bank anywhere. 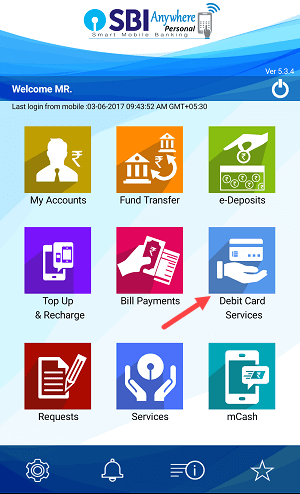 Here I am going to tell you how to manage your SBI ATM / Debit card on state bank anywhere application. For your information, let me tell you that SBI’s Debit cards now work everywhere, you can use at Domestic / international level. SBI offers many types of Debit cards but below Debit cards are best for you. 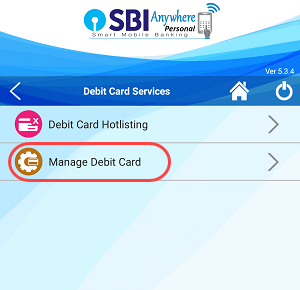 First of all you have to login on SBI Anywhere Application and after logging in, you can see the option of Debit card services. Go to Debit Card Services and visit the Manage Debit Card. Here you have to choose your account number and then choose your Debit Card. If you turn ON Domestic usage, your card will work on any ATM machine in India and if you turn OFF then it will not work at any ATM machine in country. Suppose you forget your card at friend / relative or your own home and you feel that the card can be misused, you can turn OFF the Domestic usage. After this, your card will not work on any ATM machine. If you enable this option, your card will work on all ATM machines and if you turn OFF then it won’t work at any ATM machine. Suppose you have to keep your card shut down for some time so,, you can turn this option off. That mean ATM usage if disabled and won’t work at ATM machine. As you know, SBI’s International Debit Card can be used at any International ATM machine too. If you are travelling abroad, you can use your card there. When you turn on International usage option, your card will work at any country’s ATM machine & if you turn OFF International usage then it will not work. For International online payment this option must be enabled. You can see Point of sale machine at any brand shops. At POS terminal you have to swipe your card and enter your PIN number then you can make payment. You can enable/disable POS usage by turn ON/OFF this option. If you enable this option, your card will work at any POS machine and if you disable it, it won’t work. For online shopping which payment method you are using? If you are using your Debit card then this option for you. You can enable/disable online debit card usage by turn ON/OFF this option. Suppose you saved your card on Shopping site and suddenly that site facing some serious security issues, then it is possible that your card details will also leaked. At this situation you can turn off e-Commerce (CNP) usage. Note: If you have an International Debit Card, you can also pay an International Online payment. For this you need to enable both (international usage and online e-commerce usage) options ON. Please try again it is temporary error.